Guest Presider Lydia Castillo gaveled the meeting to order, and we began with singing "My Bonnie Lies over the Ocean," and "Grand Old Flag." Charles welcomed his guests Angelo (former exchange student from Romania) and Marcus from WBU. Johnny introduced his guest, former "Flying Queen" Aubrey Pedigo. Brags included Ross' humor, Rodeo Queen Kennedy Johns, Scott Franklin's daughter going to Macedonia, Phillip Masso on his new business, and JB, for his youthful good looks. Harry was the winner of the Foundation Dollars game, but no dice! The pot is now up to $548, with 38 cards left. Richard introduced Breely and Shelley Huguley, and Breely told us what she liked about Diabetes Camp. 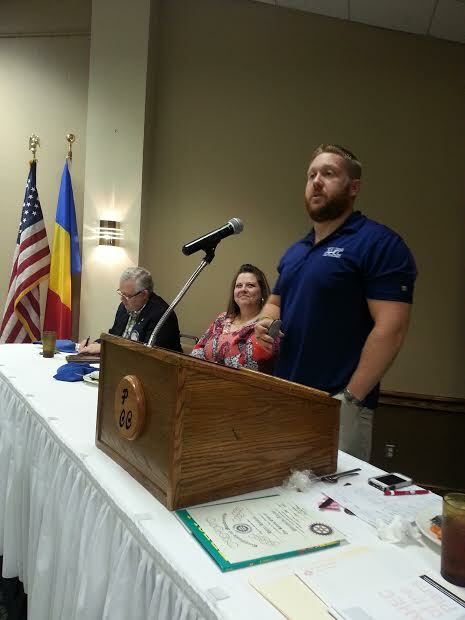 Richard then introduced our speakers from West Texas AHEC (Area Health Education Center) Chris Williams and Sheri Read. 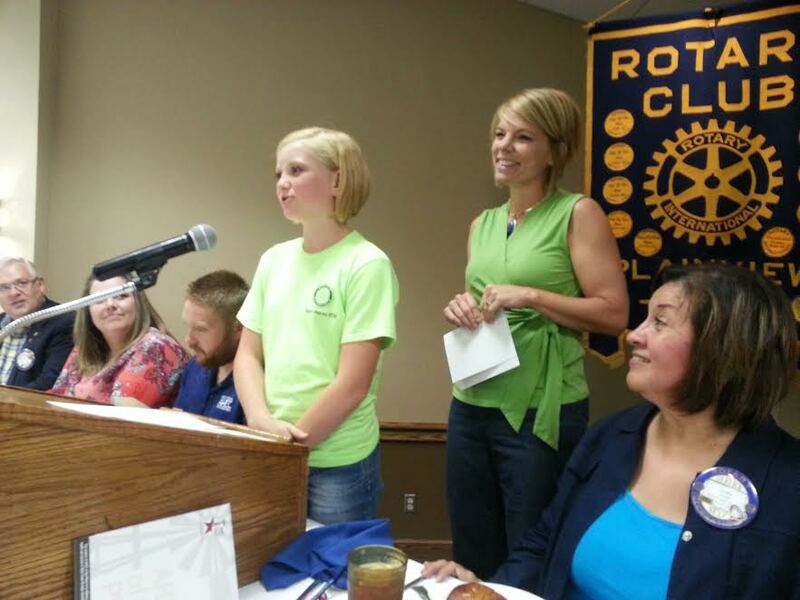 Lydia closed the meeting with the encouragement to lighten up Rotary!